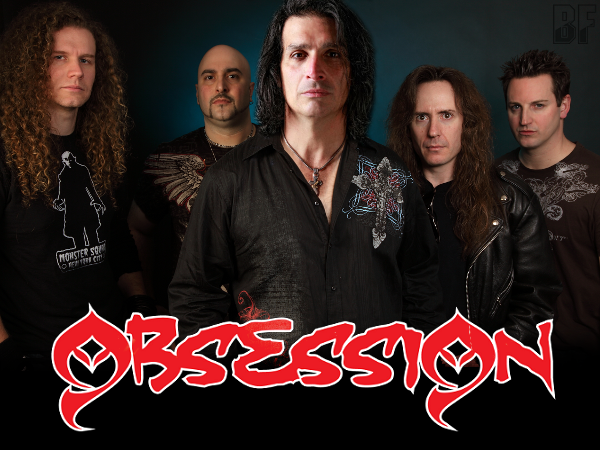 OBSESSION is an American heavy metal band formed in 1982 famous for spawning the career of singer Michael Vescera. For the upcoming album release, the band has signed to the Inner Wound Recordings in Spring 2012. 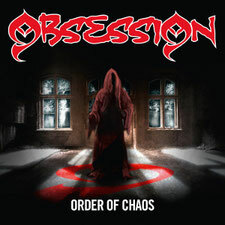 Now the new album "ORDER OF CHAOS" on September 19th in Japan, October 3rd in Europe and 9th in North America. After the successful OBSESSION albums, Michael Vescera went on to sing for the Legendary Japanese metal band Loudness releasing two albums and the DVD “Live Loudest-Budokan”. Michael left Loudness after a few years with the band then going on to sing for world renowned Swedish guitar hero Yngwie Malmsteen, appearing on two albums and the DVD “Live at Budokan”. After that, Mike has been featured as the lead vocalist for Joe Stump's Reign of Terror, Roland Grapow, Palace of Black, Dr. Sin, Killing Machine, and his own successful solo project MVP (Michael Vescera Project). His career as a vocalist has been nothing short of amazing. In 2004 he decided to reform his original band OBSESSION. The new material adds a modern edge and incendiary production while remaining true to the original OBSESSION sound of blazing vocals and wicked dual guitar work. Awesome awesome album, in my top picks of 2012.